This book 64 Shots — a shot being a fast swing, an injection, a strong drink, an explosive charge, a Moon shot — is designed to help leaders succeed in today’s ultra-turbulent world. I wrote it to bring a sense of optimism to a Volatile, Uncertain, Complex, and Ambiguous era. VUCA forces are eroding the ground under every organization and individual. Technology, in particular, has sparked an incredible moment. Industries, companies, and entire societies are being reset at record pace. Falling behind or getting ahead in life is an intense high-speed contest. I have distilled 64 shots for leaders and aspiring leaders to meet today’s extraordinary demands. Leadership is the defining difference in any field, and leading people in a crazy world requires a wider range of skills and emotional capabilities than ever. A leader’s skillset has to be meta, macro, and micro; soft and hard; strategic and creative; directional and executional. The book is inspired by Saatchi & Saatchi which is the central current in my business life. I spent 20 years as a client, then 17 years as Saatchi & Saatchi’s global CEO, and one year as Executive Chairman, which evolved into Chairmanship. The Lovemarks book series was my means of reframing the industry I found myself in; leadership, however, is my passion. These 64 shots assemble everything I’ve learned in business to propel the 21st-century leader. They are the basis of my operating style, teaching method, frameworks and formats, and forward focus. Their launch pad is the wisdom of a pantheon of leaders across fields and time. In these crazy times, everyone must lead. My goal with 64 Shots is to liberate you, the leader, from mind-numbing management literature. This book is meant to inspire, unleash, and entertain you. These 64 jabs to the solar plexus are quick sets of illumination, activation, and acceleration. Different shots will help different people. Go straight to what helps most, or read the book cover-to-cover for the full treatment on leadership. There is a linear logic to the shots but each set of four is a stand-alone idea. 64 Shots comes from the worlds of business and sport. It is for anyone leading any group of people anywhere. I hope there is something here that will inspire you, and help you set others free. And whatever you do, make sure you take the shot. "Kevin Roberts does, well, a Kevin Roberts hat trick. 64 Shots is pure Roberts magic—practical as hell, applicable in the next 15 minutes, a life guide, and pure inspiration in terms of both content and design." The keyword in the title of my new book 64 Shots: Leadership in a Crazy World, is “crazy.” It’s a crazy world. Leicester City? That’s crazy. Trump? Crazy. Here are two (of 64) ways Cumbrians can bounce back from the Winter mayhem of this crazy world. 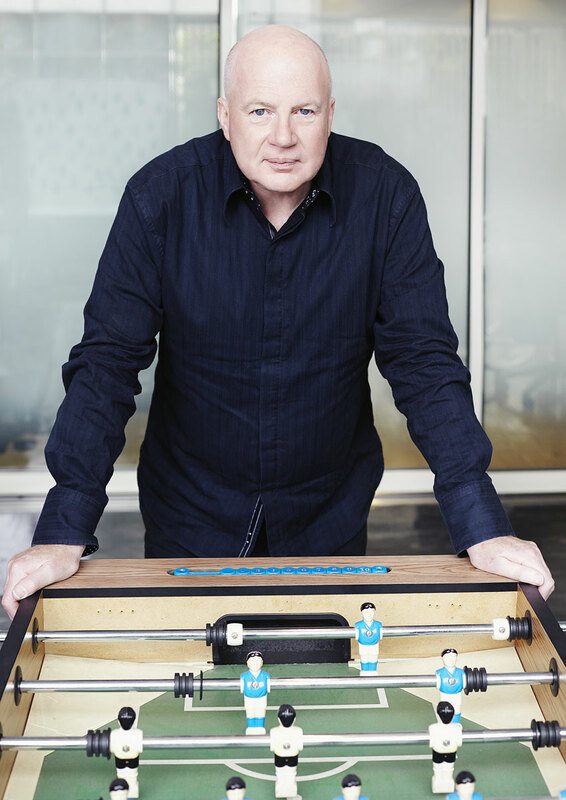 Kevin Roberts introduces "64 Shots", why he wrote the book and who it is for. A CEO for 22 years, Kevin has an uncompromisingly positive and inspirational leadership style, with an ability to generate ideas and emotional connections that accelerate extraordinary value. Born and educated in Lancaster in the north of England, Kevin started work in the late 1960s with iconic London fashion house Mary Quant. He became a senior marketing executive for Gillette and Procter & Gamble in Europe and the Middle East. At 32, he was appointed CEO of Pepsi-Cola Middle East; and was then Pepsi’s CEO in Canada, over-taking Coke in the ‘Cola Wars.’ Between 1997 and 2014 he was CEO Worldwide of Saatchi & Saatchi. He retired as Chairman of Saatchi & Saatchi in 2016. His books include 64 Shots: Leadership in a Crazy World (2016) and 'Lovemarks: The Future Beyond Brands' (2004), published in 18 languages. Lovemarks was named one of the ten Ideas of the Decade by Advertising Age in 2009. An Honorary Professor in leadership, innovation, and creativity at universities in England, Canada, and New Zealand, Kevin advises national organizations and global brands across commerce, media, and sport. In addition to current roles as Chairman and business ambassador, he is a former director of the New Zealand Rugby Union and former Chairman of USA Rugby. In 2013, Kevin was made a Companion of the New Zealand Order of Merit (CNZM) for services to business and the community. Thought leadership: www.krconnect.blogspot.com. Archived speeches 1997-2016: www.saatchikevin.com. Tweets @krconnect. Based on an international business career that broke every rule, 64 Shots is Roberts’ blueprint for leaders to win in turbulent times.